A bedroom remodeling project is both exciting and stressful to handle since you’ll have to make decisions that will affect your home for a long time. This includes the windows you’ll choose for your home window installation. From the start, you should pick out the best window style that represents your bedroom but with beneficial factors, as well. 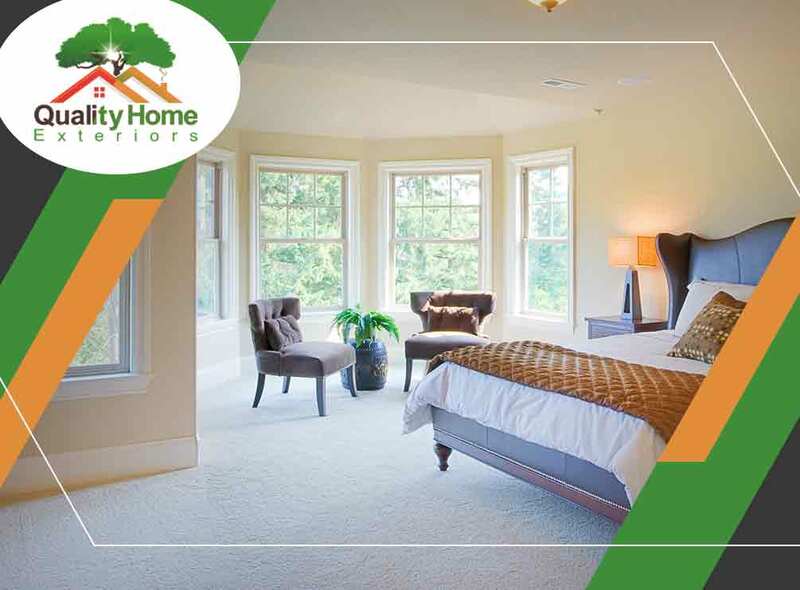 Read on as Quality Home Exteriors elaborates on various bedroom window styles to help you choose the best one that meets your requirements. Casement windows can frame the gorgeous view outside your home, making your surroundings an asset for your bedroom’s interior too. You can also open them to let in fresh air during hot summer days or when you simply want to air out the room. Double-hung windows offer great aesthetics for any bedroom interior. This has made them the most popular windows in the country. In case your home doesn’t have double-hung windows yet, consider this window style to be a chameleon since it blends well with any room you put it in. It also has a convenient sash that opens up or down for better ventilation inside your room. Double-hung windows are also a good choice for installing a window-unit air conditioner. For classic bedrooms, bay windows work great in offering elegance. A small room will have more space and look bigger with this window style. There are plenty of ways you can style your bay window, such as drapes, customizable grilles and even using it as an extra nook. You can ask for advice from your trusted replacement window contractor about how to make your bay windows fit your existing exterior. A sliding windows open up your room to better lighting and outdoor breezes. It’s just as easy to close and open but the feature that sets it apart from the other window styles is its minimal maintenance. Simple cleaning methods work in maintaining its energy efficiency and swift operation until the end of its service life. Quality Home Exteriors is the place for all your commercial and residential window replacement needs. We offer quality products and craftsmanship in every project we handle. That’s why quality is part of our name. Call now at (402) 401-4505 or fill out our contact form to schedule a visit. We proudly offer window services to homeowners in Omaha, NE.